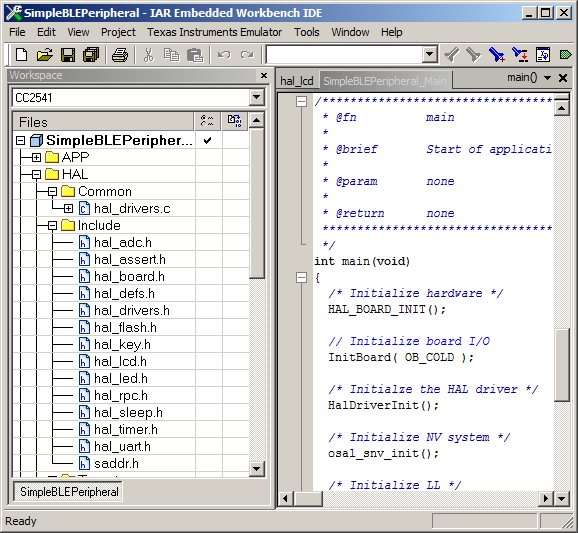 I used a Texas Instruments CC2541 dev board with original “SimpleBLEPeripheral” example. The example come with TI’s BLE-Stack package. This example should work on all CC254x board as the example don’t need any mandatory hardware to work. “SimpleBLEPeripheral” example works as a BLE peripheral. By default, it will be either advertising or connected, never turn off. The example has only one service with UUID 0xFFF0. I used Characteristic 1 only. Also I can read it’s value on dev board’s LCD screen. 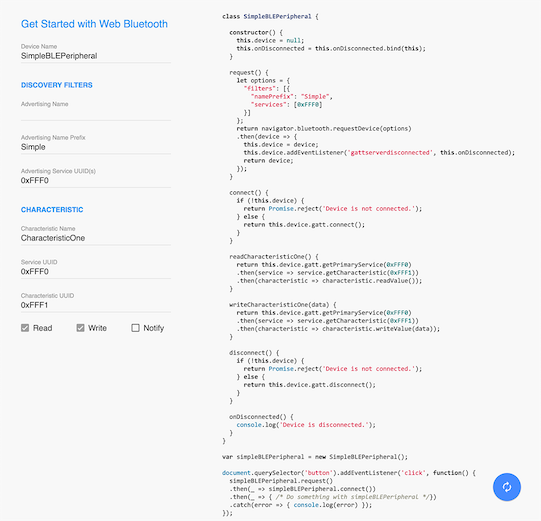 Also there is a tool to generate code to access bluetooth devices. You can type the filter condition, service and characteristic’s UUID. This webpage will generate all core code immediately. I’ll use my code as example. When a “then” block returns another Promise, next “then” block will hold on until the previous async request is finished. Data you read from BLE device is in a DataView object. You can get it’s value using getUint8() or other similar methods. You can use a Uint8Array object to write to BLE device. Or you can use Origin Trials on your webpage. You can apply for one on http://bit.ly/WebBluetoothOriginTrial. Once you get an email with the token you can add <meta> tag into your page’s <head>. Then you will be able to connect to WebBluetooth in that page on any compatible device.